There is a case for a deliberate U.S. withdrawal from Afghanistan. 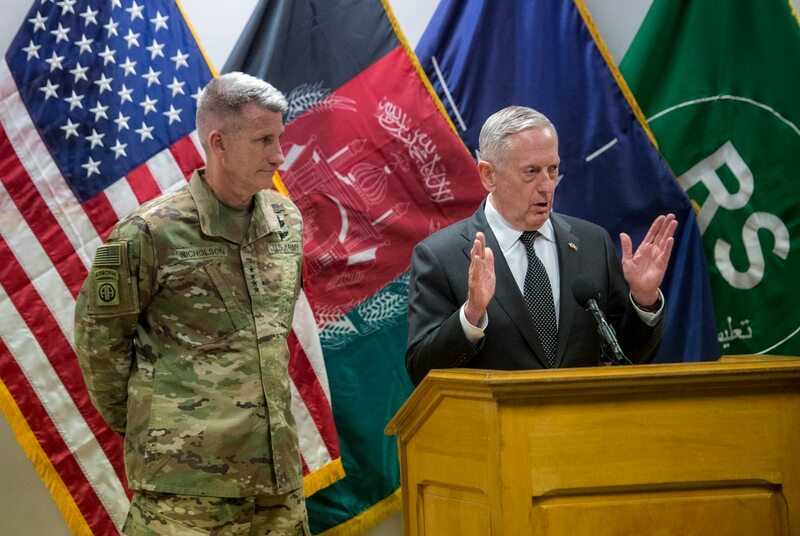 The Afghan government remains divided and weak, its security forces will take years of expensive U.S. and allied support to become fully effective, and they may still lose even with such support. Afghanistan is no more likely to become a future center of terrorist attacks outside its borders than many other weak and unstable countries. Both Afghanistan and a troublesome Pakistan have only marginal strategic interest to the U.S. relative to many other areas where the U.S. can use its resources. Moreover, leaving the region places the security and aid burden on Russia, China, and local states—forcing the countries that do have major strategic interests in the region to take on the burden or live with the consequences. The U.S. should not stay in Afghanistan without considering these risks and liabilities, or out of sheer strategic momentum. But, it should also not let the situation steadily deteriorate and lose the war by negligence and default. There is a case for continuing military assistance and there may be a case for action on the civil side if the State Department and USAID are pressed hard to address it. Pakistan may remain problematic, but it may well not be so much of a problem that some form of victory is not possible. How Long Can China and India Avoid War in the Himalayas? A remote corner of the Himalayas has become the unlikely scene of a major power standoff between China and India. Now entering its seventh week, the standoff centers on the tri-junction border shared by China, India, and Bhutan referred to as Doklam in India and Donglang in China. Neither side is spoiling for a fight, nor are they ready to back down anytime soon considering the security concerns, domestic political pressures, and regional reputational stakes. A series of quiet diplomatic interactions has not restrained the brinkmanship or ultimatums and the risk of a major armed clash between two Asian heavyweights remains. China and India have sparred along the Himalayan border for decades, including a brief war (and clear Chinese victory) in 1962. In areas like Aksai Chin or Arunachal Pradesh, long-standing disputes still play out in regular diplomatic arguments. Yet until recently there seemed to be a settled status quo in the comparatively peaceful tri-national border area, which has special strategic significance, lying as it does above the 14-mile-wide Siliguri valley, or the “chicken’s neck,” that connects northeast India to the rest of the country. As it turns out, both sides had very different visions of just what that status quo was. The clash of perceptions has left them both smarting, and dialed jingoistic language up to 11. To China, Doklam is its own sovereign territory based on treaties, tacit agreements, and de facto control. India considers Doklam a disputed territory and contends that any changes to the territory’s jurisdiction must be made in consultation with India per a 2012 understanding between the three parties. Is India Getting Ready to Build Its Own Stealth Fighter? In 2008, India’s Aeronautical Development Agency began developing a multirole fighter to replace its large fleet of aging Jaguar, Mirage and MiG-23 fighters. The new project was tentatively dubbed the Medium Combat Aircraft (later revised to the Advanced MCA, or AMCA), to be produced domestically by Hindustan Aeronautics Limited. Shortly afterwards, the Indian Air Force put in a serious addendum to the program: they wanted AMCA to be a stealth fighter, too. For a while the AMCA project slowed down, as India invested $5 billion in the Russian Sukhoi PAK FA stealth fighter, intending to produce its own version called the FGFA. But then the PAK FA program began to suffer major setback, eliciting numerous complaints from the Indian military. Now, even Russia has only ordered production of twelve of the supermaneuverable stealth aircraft, and the future of the FGFA is unclear. New Delhi’s interest in the HAL AMCA therefore kicked back into higher gear, with more than four thousand staff devoted to the project, according to a report in 2015. By then, the ADA had settled upon a final design involving a twin-engine, canted twin-tail configuration, with an overall profile similar to that of the American F-22 Raptor. Mock-ups of this design have already reportedly undergone wind-tunnel and radar cross-section tests. India and Pakistan have been in a territorial conflict over the Kashmir region since 1947, the year both nations were carved out of British India. The de facto border between the Indian and Pakistani controlled parts of the Kashmir Valley—known as the Line of Control (LoC)—has been the locus of repeated artillery exchange and friction despite a ceasefire agreed to in 2003. Drawn from interviews, a survey, and focus group discussions, this report evaluates the impact and relevance of grassroots peacebuilding efforts in the region. It reflects only the views of those who have been associated with cross-border trade, travel, and civil society cross-LoC interactions. India and Pakistan have been in conflict over Kashmir since 1947. In April 2005, a cross–Line of Control (LoC) bus service was launched between the Indian and Pakistani sides of Kashmir, followed by cross-LoC trade in 2008. A plurality of respondents on both sides felt that people-to-people contact and grassroots interactions have had some impact on the overall conflict; others regarded them as only symbolic. Most respondents believed that the impact of grassroots involvement is limited to a small group of divided families and traders, and that the processes have failed to expand, become institutionalized, or involve stakeholders. From 2008 to 2016, goods worth $754 million have been exchanged through cross-LoC barter trade, and the bus service has recorded nearly twenty-eight thousand visits. Cross-LoC interactions have led to a limited perception shift as well as nominal and nascent social linkages. The economic impact is limited to a small constituency and has failed to filter through into the larger society. Nations in general and neighbouring nations, in particular, remain in a state of perpetual competitive conflict primarily to assert political and economic hegemony. While territory may have been the immediate casus belli for the Sino Indian War 1962, the aim was political – to teach India a lesson by inflicting a humiliating military defeat. As highlighted in my last column, 1962 War gave us our de facto borders in the Himalayas – the Line of Actual Control (LAC). In the western sector, China had already seized what it wanted in the 50s and it marginally improved its position in the war based on its 1959 claim line. In the north eastern sector, the McMohan line was reluctantly accepted by China. The next 25 years saw relative peace on the borders with the 1967 flare up at Nathu La only reinforcing the status quo. China was going through internal turmoil and was chastened by the bloody nose it got from Vietnam in 1979. Indian economy stabilised and major military reforms post 1962 led to its sterling performance in 1971. However, the Indian Army stayed away from the Himalayan border and the main defences were located 50-100 km from the LAC. China began its economic and military modernisation in the 80s and this coincided with relative modernisation of the Indian Armed Forces. The Comprehensive National Power (CNP) was nearly at par, and competitive conflict between two resurgent nations was inevitable. 1986- 87 saw the Sumdrong Chu standoff which led to far reaching changes. A winning strategy in Afghanistan needs to decentralize security, development and governance priorities away from the United States. The highly anticipated 2017 White House strategy for Afghanistan has many experts warning there are no good policy options, let alone an effective number of U.S. troops that will solve what Gen. John Nicholson calls a “stalemate” between insurgents and the Afghan government. Given recent Taliban gains in places such as Helmand and Kunduz, and devastating attacks in the heart of the capital Kabul, the U.S. metric for success sits on a dreary spectrum of lose now, lose later or try not to lose at all. One thing is for certain, the outcome for Afghanistan rests no longer on the shoulders of the United States, rather it is Afghanistan’s burden to bear. The United States has proven inept at drive-through state building—not because it is corrupt or unskilled, but because state-building is complex and long term. Retired Gen. David Petraeus recently called the mission in Afghanistan “a generational struggle” akin to our security objectives in Korea. If we truly seek success, as Petraeus argues, we need to “be there for the long haul.” But what being there looks like is another question. A sustainable long-term strategic vision would prioritize going “urban” over going “local” in Afghanistan. WASHINGTON — President Donald Trump has become increasingly frustrated by the situation in Afghanistan and has recently floated a change in command as he struggles to settle on a new strategy after years of war. NBC News first reported Wednesday that Trump fumed during a meeting last month over the lack of progress. The network said he also proposed firing Army Gen. John Nicholson, the top U.S. commander in Afghanistan, during the heated Situation Room exchange. The U.S. has been fighting in Afghanistan for nearly 16 years, but Trump has yet to settle on a new strategy for achieving the goal he inherited from the Obama administration: getting the Afghan government to a point where it can defend itself. Defense Secretary Jim Mattis said last month that the administration was “close” to announcing its new strategy — despite blowing a self-imposed deadline — but was still sorting out “the big ideas,” beyond troop levels and other military details. Mattis said as recently as June that “we are not winning” the war. Trump’s predecessors also struggled with the task of stabilizing the country and bringing U.S. troops home. How should India respond to the growing nuclear capabilities of Pakistan and China? This paper argues that rather than compete with its neighbors, India should pledge to avoid open-ended growth in warhead numbers and the acquisition of new nuclear war-fighting capabilities. The text´s author believes this would allow India, China and Pakistan to adopt credible minimum deterrence postures and avoid a wasteful, dangerous competition over the development of new counterforce capabilities. Since the U.S. entered Afghanistan, the question on the minds of civilians, soldiers and commanders alike has been when and how do we leave? A narrative quickly came out of the conventional warfare strategy that boiled down to “shape, clear, hold, build and transition.” Although simple in nature, it was a narrative born out of political necessity and lacked a fundamental understanding of the people that U.S. troops would be fighting and defending. Through In the Warlord’s Shadow, Daniel Green uses experience gained from multiple tours, staggered throughout a decade of conflict, to highlight how this narrative had developed by 2009 when he deployed for the third time. He fades out the major action typically told in conventional war literature and brings out the personal stories of involvement with local leaders. In doing so, Green endorses a balanced war-fighting program that synchronizes development initiatives and tribal outreach with a less kinetic strategy. Although not explicitly mentioned in the book, Green’s candid account stresses several critical flaws in the current thinking behind U.S. counterinsurgency operations. Foremost among these is a misunderstanding of the centers of gravity in insurgency groups. The U.S. military’s understanding of centers of gravity is derived from Carl Clausewitz who defined it as a military’s source of strength. Once these sources are destroyed, the enemy would either be unable or unwilling to effectively sustain combat. However, Green notes that even after “defeating” the Taliban, fighting would recommence shortly after departure. How do you fight an enemy that continues to fight after traditional sources of strength have been depleted? By Green’s account, you sap the strength that they want, but have yet to obtain completely. In the Taliban’s case, this is the will of the Afghan people. This analysis suggests that a light-footprint approach to Afghanistan is not working. But crucially, as President Trump looks poised to ramp up American boots on the ground in a number of theatres,4 it is not necessarily the lack of troops that is doing the most damage to chances of mission success in Afghanistan. Instead it is the lack of political will to bring maximum pressure to bear on all parties to the conflict to bring them to the negotiation table. This briefing is based on off-the-record military interviews with both international and local Afghan troops between February and March 2017. There are ominous signs for India in Beijing’s outreach to Kathmandu As the India-China stand off over Doklam continues, Nepal, so far a neutral party, will be hosting high-level visits from both countries. The Global Times alleged that Indian troops had invaded Doklam in the name of helping Bhutan. It claimed Indian leaders were using the incident to “appease” domestic and international audiences and warned against using the “Dalai Lama card”. Chinese Vice Premier Wang Yang will be visiting Nepal on August 14, barely nine days before Nepali Prime Minister Sher Bahadur Deuba embarks on an official visit to India, his first after assuming the chief executive’s post for the fourth time two months ago. In between, India’s External Affairs Minister Sushma Swaraj will be in Kathmandu for the BIMSTEC meet. Certain political trends at home and China’s pro-active approach to Kathmandu indicate that silence may seem a prudent response, but not perhaps the desirable reaction at this moment for Nepal. Prime Minister Deuba has been advised by some senior diplomats that the joint agreement China and India signed in May 2015 to develop Lipulekh along the Kalapani tri-junction between China, Nepal and India as a trade post should be reviewed. Former Foreign Affairs Minister Mahendra Bahadur Pande claims China has already assured Nepal that it is ready for a review. “With Doklam dispute escalating, the Lipulekh issue must be settled now so that it does not turn into a flash point in the future,” says a senior Nepali bureaucrat. He added that Prime Minister Deuba has been advised suitably. The United States has become increasingly aggressive about slowing down or halting China’s industrial espionage efforts. This has included indictments of PLA officers, broad condemnations of Chinese spying, and targeted reprisals against some Chinese firms. But given the extensive commercial contacts between China and the United States, stopping the flow of technology is virtually impossible. As the People’s Republic of China (PRC) emerged from war and revolution in 1949, it became apparent that the Chinese economy lacked the capacity to compete with the U.S. or the U.S.S.R. in the production of advanced military technology. Transfers from the Soviet Union helped remedy the gap in the 1950s, as did transfers from the United States and Europe in the 1970s and 1980s. Still, the Cultural Revolution stifled technology and scientific research, leaving the Chinese even farther behind. Zhurihe certainly has enough room to hold all the people and equipment for a parade with thousands of soldiers, hundreds of tanks and armored vehicles, and dozens of ICBMs. As part of the People's Liberation Army's 90th anniversary celebration—it was founded on August 1, 1927— President Xi Jinping (in military fatigues) hosted a giant parade at the Zhurihe Training Center. Here, PLA's most elite forces demonstrated how far China has come in modern warfare. CCTV broadcast the session, which means a domestic and global audience of millions saw the army's showcase of tanks, stealth fighters, artillery, and ICBMs. Is this the next “carrier killer” in China’s arsenal? China was dubbed an “emerging force” in drone warfare in and called a “rising drone power” by 2015. In four short years, its status has gone from “new” to “leading” on multiple fronts in the drone domain. One of those fronts is the application of (militarized) drone technology in sea operations. For over a decade, the United States was the undisputed leader in unmanned development and deployment in East Asia. From the Grey Eagles deployed in South Korea to Global Hawksflying from Japan, and more recently tests with the X-47B, the Sea Hunter USV, and a generation of UUVsunder development that should enable U.S. attack submarines to discover other potential underwater enemies more quickly than in previous years. Yet America’s unmanned dominance has been contested by China’ ambitious drive to be the leading force in drone development and distribution. In prior articles, we argued that China is increasingly becoming a potent player in the unmanned game. Recently, in The Diplomat, Steven Stashwick described how China is developing a new generation of UUVs, aimed at pinpointing the location of U.S. submarines in the depths of Pacific waters. In another advance for China, two months ago, news broke that China is aiming to develop a sea-skimming drone, a drone-bomber, or drone “warthog” capable of tearing across the water just half a meter above the surface — well below radar coverage. In addition to its phantom profile, the advanced concept carries with it a 1,000 kilgram payload, packing enough explosive power to significantly damage an entire U.S. flattop. Will this be China’s second, aircraft killer after the Dong-Feng 21? You may have heard that China’s military has developed a “carrier-killer” ballistic missile to threaten one of America’s premier power-projection tools, its unmatched fleet of aircraft carriers.1 Or perhaps you have read about China’s deployment of its own aircraft carrier to the Taiwan Strait and South China Sea. But heavily defended moving targets like aircraft carriers would be a challenge to hit in open ocean, and were China’s own aircraft carrier (or even two or three like it) to venture into open water in anger, the U.S. submarine force likely would make short work of it.2 In reality, the greatest military threat to U.S. vital interests in Asia may be one that has received somewhat less attention: the growing capability of China’s missile forces to threaten U.S. bases in the region. In a time of rising geopolitical tension in Asia, U.S. leaders and policymakers should understand that in the event of an unforeseen U.S.-China crisis, especially one that appears to threaten China’s claimed core strategic interests or the legitimacy of the Chinese Communist Party, a preemptive missile strike against the forward bases that underpin U.S. military power in the Western Pacific could be a real possibility. This might be the case particularly if China perceives that its attempts at deterrence of a major U.S. intervention – say in a cross-strait Taiwan crisis or in a brewing dispute over the Senkaku Islands – have failed.3 Driven partly by distinct first-mover advantages associated with the employment of modern long range precision weaponry, such a preemptive strike appears consistent with available information about China’s missile force doctrine and military strategy, and satellite imagery shown below points to what may be real-world Chinese efforts to practice its execution. Several weeks ago, while traveling in China, I couldn’t read Bloomberg View because the censor had blocked the website. But that didn’t stop me. I turned on my VPN -- virtual private network -- and connected by going around the Great Firewall. I could access Facebook, Twitter, Google and the New York Times the same way. 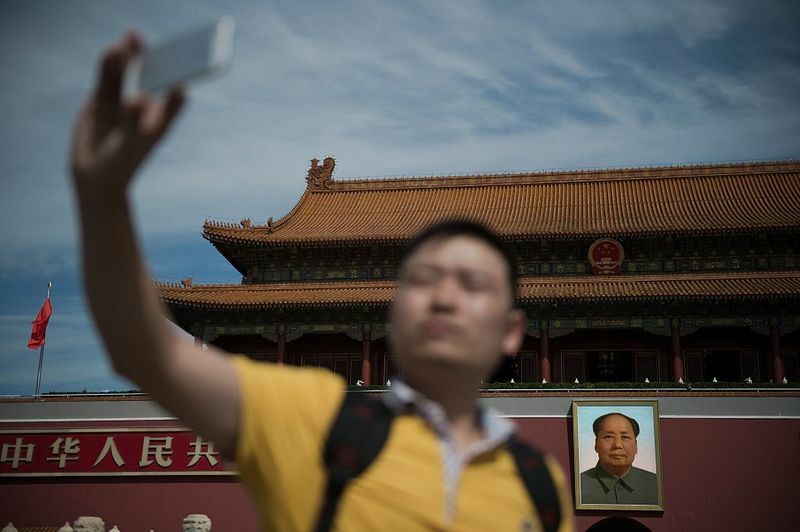 Unfortunately, in the past few weeks, the Chinese government has moved against such VPNs, most notably asking Apple Inc. to stop selling them through its app store. Apple acceded, and the response of the critics has been pretty sour. Those remarks are unfair to Apple, which in difficult circumstances probably did the right thing. China has already shown Facebook Inc. and Google parent Alphabet Inc. that it is willing to do without their services. How would it help the world to have Apple join that list, either partially or in full? I don’t approve of Chinese censorship, but the VPNs are in fact illegal. It hardly seems unreasonable for a major company to follow the laws of the country it is operating in, even if those laws are unjust or imprudent. Recent media reports underline Russian arms sales to the insurgent group. What is Moscow’s end game? On July 25, 2017, representatives from two Taliban cells told CNN that Russia had supplied them with guns via its regional ally, Iran. This revelation caused allegations of Russian support for the Taliban to circulate widely across international media outlets. The Russian Foreign Ministry’s spokeswoman Maria Zakharovaresponded harshly to these rumors, by vehemently denying allegations that the Kremlin has provided military support to the Taliban and alleging that the United States fabricated Moscow’s purported Taliban links to further its disinformation campaign against Russia. While the scale of Russia’s military support for the Taliban remains unclear, Moscow’s apparent decision to provide arms to the Sunni extremist organization can be explained by Russia’s desire to expand its influence over Afghanistan. By arming the Taliban, Russia aims to displace Pakistan and the Saudi-led Gulf Cooperation Council (GCC) as the Taliban’s leading security partner, and to pressure Kabul to embrace its inclusive approach to diplomacy in Afghanistan. Even though negative memories of the 1979-1989 Soviet War in Afghanistan have made Kremlin policymakers very resistant to a potential Russian troop deployment to Afghanistan, Moscow’s arms provisions to the Taliban underscore Russia’s ambitions of becoming a major political stakeholder in Afghanistan. The strategic challenge of the 21st Century for the United States will be for it to maintain its position in international politics in the face of a competitive peer challenge from China. While this challenge has many facets, one of the most important is the role nuclear strategy plays in allowing the United States to maintain its position. The founders of U.S. nuclear strategy—in particular, Herman Kahn and Albert Wohlstetter—were quick to discern the value of nuclear weapons and their usefulness for America’s interests. As these nuclear founders identified, nuclear weapons are used for purposes of deterrence and coercion. To deter aggression, or to deter escalation within a conflict, the United States must have a counterforce nuclear strategy and nuclear superiority at the tactical, theater, and strategic levels. In order to coerce, it must possess nuclear superiority in each of these domains as well. The result of this was strategic stability during the Cold War. In both a deterrent and coercive role, nuclear weapons have greatly served the interests of the United States. Nuclear weapons allowed the United States to credibly extend deterrence to Europe and Japan without generating an economically debilitating level of conventional power—the “First Offset” strategy of the Eisenhower administration. Nuclear superiority contributed greatly to the stability of the Cold War and U.S. dominance in its wake. The program's goal is to develop a " cohort of strategic thinkers and technical leaders capable of applying substantive knowledge, directing original research, and leveraging relationships with industry and elements of national security ... to achieve the innovative thinking desired by the Marine Corps," according to the Thursday announcement. War in the Asia-Pacific region remains a real possibility and it will occur when we least expect it. While these statistics are nothing new to Diplomat readers, they are worth restating to illustrate the profound and often neglected dangers that lurk behind the increasing militarization of the region with its numerous territorial disputes on both land and sea and frozen conflicts, and which at the same time lacks a regional security structure and political community akin to, for example, NATO and the European Union in Europe. The old maxim that if you only have a hammer, sooner or later most problems will look like nails is in particular pertinent in that respect: Given the growing military arsenals, Asia-Pacific policymakers may be more willing to use military force to achieve political objectives and settle disputes. Elon Musk, the visionary entrepreneur, fired a warning shot across the bow of the nation’s governors recently regarding the rise of artificial intelligence (AI) which he feels may be the greatest existential threat to human civilization, far eclipsing global warming or thermonuclear war. In that, he is joined by Stephen Hawking and other scientists who feel that the quest for singularity and AI self-awareness is dangerous. Singularity is the point at which artificial intelligence will meet and then exceed human capacity. The most optimistic estimates of scientists who think about the problem is that approximately 40 percent of jobs done by humans today will be lost to robots when the singularity point is reached and exceeded; others think the displacement will be much higher. Some believe that we will reach singularity by 2024; others believe it will happen by mid-century, but most informed observers believe it will happen. The question Mr. Musk is posing to society is this; just because we can do something, should we? In popular literature and films, the nightmare scenario is Terminator-like robots overrunning human civilization. Mr. Musk’s fear is the displacement of the human workforce. Both are possible, and there are scientists and economists seriously working on the implications of both eventualities. The most worrying economic scenario is how to reimburse the billions of displaced human workers. In February 2014, anti-government protesters toppled the Ukrainian government of Viktor Yanukovych. Shortly thereafter, pro-Russian separatists began seizing infrastructure in Crimea while systematically occupying territory in the eastern part of the Ukraine. As it would later be revealed, many of these supposed separatists were, in fact, highly trained Russian Special Forces personnel wearing no insignia, the so-called “Little Green Men.” The precision with which these operations were carried out shocked many Western analysts. Not only for the speed at which events unfolded, but also for the efficiency with which the Russians were able to coordinate and execute the numerous operations they had in play. Over the last 30 years the international security environment has been characterized by several security deficits, which are defined as a government’s inability to meet its national security obligations without external support. Intra-state, transnational, and regional actors challenge a sovereign government’s ability to provide a secure environment for their citizens. While evident in countries like Syria and Afghanistan, it is also true in the cyber world. Transnational organized criminal groups harness the power of the internet to steal identities and conduct financial crimes; terrorist organizations use cyberspace to recruit fighters and promote their destructive deeds; countries employ cyber tools for espionage while laying the groundwork for military operations in cyberspace; and nations worry about disruptions to their critical infrastructure. Cyber challenges like these cut across all dimensions and simultaneously cross into political, economic, and social realms. More than ever, citizens, regardless of nationality, are exposed to risks created by cyber insecurity. Reinforced by intelligence assessments, polling in the United States places cyber insecurity as a leading national security challenge and a pressing concern for citizens and policymakers alike. Norms are an important response to these threats. Norms provide a guide to state behavior and provide a basis on which to rebuild trust between citizens and governments, to harmonize relations among governments, and to coordinate action against shared cyber threats. If norms are violated by governments, the violation provides ratio decidendi for other countries to take measures to return to the norm. When Satoshi Nakamoto (a pseudonymous person or group) published the pioneering paper Bitcoin: A Peer-to-Peer Electronic Cash System in 2008, he/they would have hardly anticipated that the valuation of the cryptocurrency – Bitcoin – founded a year later would surge to 2300 USD1 a unit in less than a decade. At present, there are around 969 cryptocurrencies in existence across the globe, with a total market capitalisation close to 116 Billion USD.2 Founded as a peer-to-peer electronic payment system, cryptocurrencies enable transfer of money between parties, without going through a banking system. These digital payment systems are based on cryptographic proof of the chain of transactions, deriving their name, Cryptocurrency. These employ cryptographic algorithms and functions to ensure anonymity (privacy) of the users (who are identified by an alphanumeric public key), security of the transactions and integrity of the payment systems. “Decentralised Digital Currency” or “Virtual Currency” is also interchangeably used for a cryptocurrency. Widely seen as a disruption for the traditional banking and financial institutions, cryptocurrencies have gained significant traction over the last half a decade, at the same time creating a regulatory nightmare for banking regulators across the globe. Governments and their regulatory bodies have been brainstorming for measures to either regulate the growth of cryptocurrencies, as against just letting them proliferate without regulation and interference. While the US Senate had a hearing on Bitcoins in 2013, the Canadian Senate’s Standing Committee on Banking, Trade and Commerce carried out an extensive study on the use of digital currency in 2014. The acceptability of cryptocurrencies as a legal instrument currently varies from country to country; while some are in the process of formulating laws and measures, others are yet to respond to this disruptive change. The burgeoning use of cryptocurrencies in terror financing, ransomwares, illicit drugs or arms trade and cybercrime has also raised red flags among the security and law enforcement agencies.